Donald Trump has countless enemies on the left. Comedian Kathy Griffin is one of the loudest and most obnoxious Trump haters among the Hollywood contingent. Now Griffin is again taking aim at Donald Trump in a ridiculous manner. The media’s war on Trump is never-ending. The results of the 2016 presidential election mobilized the establishment in ways unseen before. Network news coverage of Donald Trump is 92% negative, and that’s just a singular prong of attack. Entertainment media is just as heavily tilted against Donald Trump. An array of musicians and actors and Hollywood producers fulminate against Trump on a daily basis. But comedians might be some of the worst offenders of anti-Trump vitriol. The entire profession of comedy has been annexed by the left to the point where it became career suicide to speak out against leftist orthodoxy. Conservative comedian Owen Benjamin watched his mainstream Hollywood acceptance vanish after he spoke out against the practice of putting “transgender” adolescents on irreversible hormone blockers. Liberal comedian Nimesh Patel was kicked off stage during a set at Columbia University after he told a politically incorrect joke. Late-nite host Jimmy Fallon was bullied into being nastier toward Trump after drawing criticism for being too neutral. To the left, being neutral is no longer acceptable. That’s why the left has again embraced failed comedian Kathy Griffin. Griffin disgraced herself when she appeared in a photo shoot holding Donald Trump’s severed head. 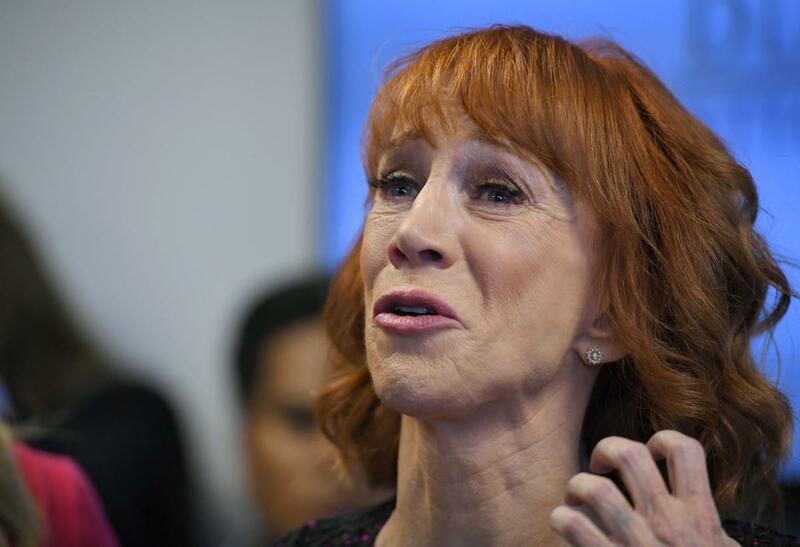 The grotesque act was quickly denounced and CNN fired Griffin from her gig at the network. Even Jerry Seinfeld, who usually shies away from criticizing fellow comics, acknowledged that Griffin’s stunt was a bad joke. But Griffin regained her status as a liberal in good standing by relentlessly attacking Trump and his associates. She even rescinded her insincere apology regarding the fiasco. Instead of tempering her rhetoric, she dialed it up. Griffin pulled another stunt where she danced naked in a video to celebrate news of Michael Cohen’s indictment. Griffin wasn’t alone in her over-the-top exuberance. The left, especially the talking heads at Griffin’s old network, believed they finally had the smoking gun that proved collusion with Russia. But the smoking gun was another mirage. Anchor Jake Tapper even admitted the network’s excitement over Michael Cohen’s plea deal was exaggerated because he didn’t confess to any misconduct regarding. Russia. However, that hasn’t tempered the left’s enthusiasm over their fantasy of Trump’s imprisonment. Even though most regard them as pompous, Hollywood elites maintained a thread of respectability and credibility when speaking out on issues outside of entertainment. But they’ve shattered that veneer of respectability in favor of cheap attacks and sophomoric stunts. Trump Derangement Syndrome has robbed them of their subtlety. They’ve been exposed for the hate-filled frauds and liars they truly are. The next time Griffin or one of her cohorts apologizes for “crossing the line,” just know it’s a complete fabrication. They despise Trump and Republicans even more than they admit.